BAECHTOLD LIMITED is licensed by CADEAUX GINKGO AG, Switzerland, to manufacture and distribute CADEAUX JEWELRY in Thailand, and to run shops and POS under the same name. Our main retail shop is CADEAUX JEWELRY, Gaysorn Shopping Center, 1st Floor, 999 Ploenchit Road, Bangkok, Tel. 02 656 1350, Open Daily 10-19h. CADEAUX JEWELRY was founded in Germany 1975 to create a jewelry identity that conveys personality and continues to evolve with developments in art, culture, techniques and materials, maintaining originality and authenticity. German sculptor and goldsmith Evert Hofacker established CADEAUX JEWELRY with a purpose to create a jewelry identity individual to the wearer. He invented the Two-Prong-Setting, an innovation he patented in 1977. His creations captured the spirit of an era characterised by free-form, an influence known particularly in music. The style is admired by collectors and designers, notably in the designs Jazz II (pic.). From 1975 until 1999 CADEAUX JEWELRY marketed its products in Germany, Austria, the Netherlands and Switzerland through independent retailers, and worldwide through events in Hong Kong, Japan, Taiwan and the United States. 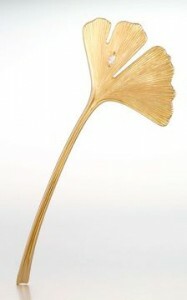 In the 1980s CADEAUX JEWELRY softened its design introducing the life-line concept and organic forms, including the Ginkgo leaf brooch in 18 Karat gold, representing a symbol of harmony, love and everlasting values. 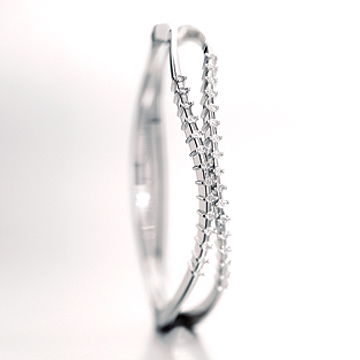 In 1990 CADEAUX JEWELRY introduced a design which is purist and modern with distinct lines. The designs by CADEAUX JEWELRY preceded a style that by the turn of the millennium dominated modern jewelry design. The most significant creations belong to the Moderne series and include Hamburg and Berlin rings and bangles. 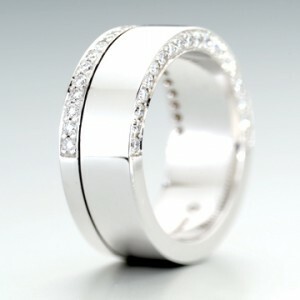 Please visit the website of CADEAUX JEWELRY.